Seriously, Did Republicans Fire All Their Editors? We took note Friday of a TV spot targeting rep. Brittany Pettersen of Lakewood from the Republican Senate Majority Fund–an expensive production and ad buy that couldn’t even spell the targeted candidate’s name right. If it’s worth producing and distributing before the eyeballs of thousands of voters, it should go without saying that it’s worth the essential step of copyediting. Seriously folks, how the hell does that make it into the hands of actual voters? We understand that typographical errors happen–after all, this is a blog. We commit them all the time. 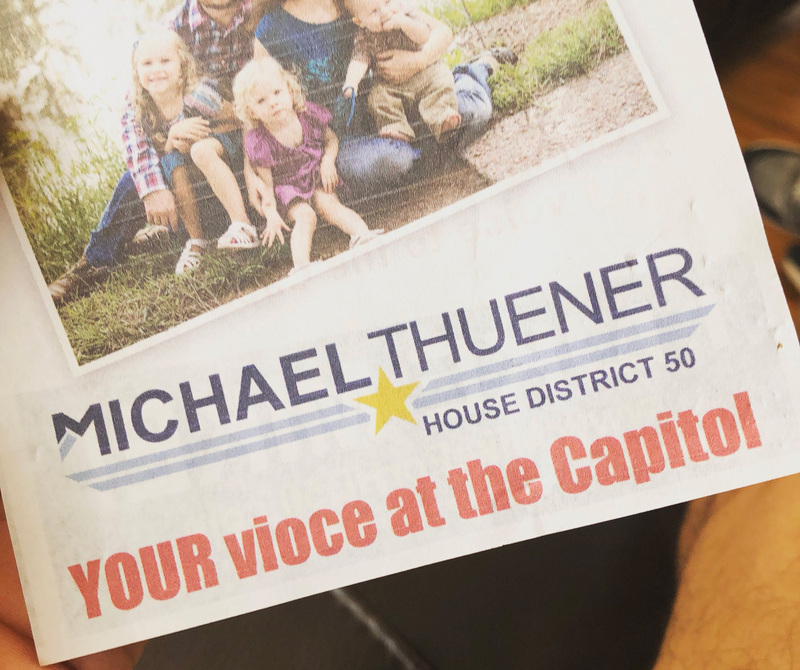 What we wouldn’t do is allow such elementary errors to be printed and then distributed in campaign literature–or in the case of a TV spot, aired to thousands of voters. Too many more such incidents, and the “amateur hour” impression this kind of thing leaves won’t be a coincidence anymore. It’ll be part of the narrative of 2018. Hmmmm…I mean, the picture is right there. Well, Colorado Pols DID distinguish between blogs and print advertising. Perhaps there will be an update with the correction sometime soon. Personally, I'd be interested in finding out who prepared the hand-out and which print shop was used. There usually are multiple checks where SOMEONE would notice a glaring error like that. Wayne Stapler would be proud.